Moments In Time: Digital Scrapbook Day Chat - I Can Scraplift/Follow That Sketch! 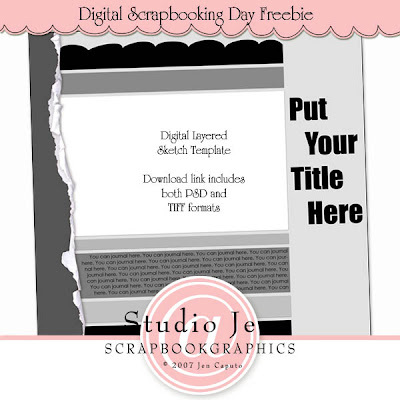 Digital Scrapbook Day Chat - I Can Scraplift/Follow That Sketch! The chat that Michelle and I will be hosting tomorrow is from 12:00 to 1:00 EST at Scrapbook-Graphics. To be eligible for posting bonuses all challenge layouts will have to be posted in the scraplift gallery by 11:59 p.m. Eastern on Sunday, November 4th. Above you will see the bonus prize. Additionally, a $5.00 gift certificate will be awarded to one lucky scrapper during the chat.